Add Liner Notes to Cart. Buy Liner Notes Now. Re-issued with 64-Bit Tuned Harmonic Mastering to celebrate the 30th anniversary of the first Ancient Future concert 2/11/1979, the seventh Ancient Future recording features nineteen top masters of Indian, Nepalese, African, Cuban, Celtic, Arabic, Palestinian, Jewish, Indonesian, Chinese, Eastern European and American music traditions. Each cut on the CD features a different version of the band. 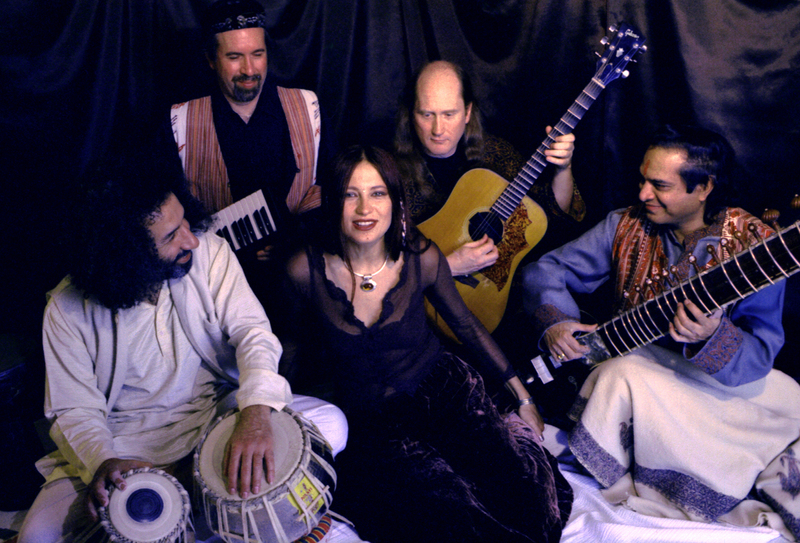 Since the term "world fusion music" was coined at the bands inception in 1978, Ancient Future has evolved from a quartet into a large musical family of world fusion music ensembles led by scalloped fretboard guitarist Matthew Montfort. Simsimay Panima (traditional, arr. Montfort. 6:05) >YTmusic. >soundcloud. Nepalese folk song. Features Nepalese flutist Manose Singh (bansuri). Forest Frolic (Montfort. 4:29) >YTmusic. >soundcloud. Chinese, Greek, Balinese, and Indian influences. Features Liu Qi-Chao (Chinese flute) and Manose Singh (bansuri). I Mett Her in the Medowe, b (traditional, arr. Montfort. 4:12) >YTmusic. >soundcloud. Scottish lute melody from 1615. Features Matthew Montfort on the scalloped fretboard guitar, an instrument combining aspects of the South Indian vina with the steel string guitar. Ocean of Love (Montfort. 5:26) >YTmusic. >soundcloud. African, Indian (Rag Kafi), African, Vietnamese, and Slavic influences. Features Matthew Montfort (electric guitars), Irina Mikhailova (vocals), and C.K. Ladzekpo (Yoruba drummer). Ochun (traditional, arr. Montfort. 3:32) >YTmusic. >soundcloud. Afro-Cuban. Features Santeria priest Pedro de Jesus on a chant for the goddess of love. Semara (Montfort. 4:27) >YTmusic. >soundcloud. Balinese gamelan. Features instruments and rhythms of the Gamelan Semar Pegulingan and performances by the original 1978 lineup of Ancient Future. Alap (Montfort. 1:48) >YTmusic. >soundcloud. Indian alap. Features Matthew Montfort on scalloped fretboard guitar and Patti Weiss on violin. El Zaffa (Montfort. 4:26) >YTmusic. >soundcloud. Egyptian wedding procession rhythm (elzaffa). Features Palestinian musicians Antoine Lammam (percussion) and Georges Lammam (violin) and Jewish music specialist Moses Sedler (cello). Ne Po Pogrebu Bochonochek (traditional, arr. Montfort. 5:07) >YTmusic. >soundcloud. Russian folk song. Features Irina Mikhailova (vocals) and Matthew Montfort (guitars). Socha Socha, b (Khan/Montfort. 8:34). >YTmusic. >soundcloud. North Indian raga. Features Pandit Habib Khan (sitar). Educational Digital Liner Notes- $1.98 (SALE $1.50): Add Liner Notes to Cart. Buy Liner Notes Now. This download is an eleven page .pdf of liner notes for Planet Passion by Ancient Future. The liner notes are a digital version of the cover art and comprehensive CD booklet, which details a mythical story of love through the musical traditions of the world. The liner notes may also be bundled with Planet Passion at a few select digital download retailers. 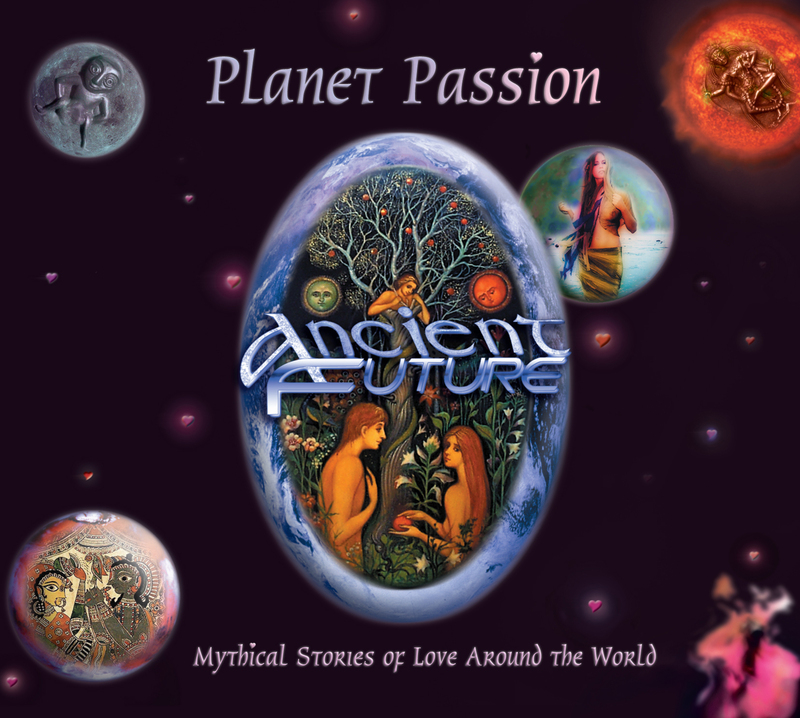 The remastered edition of Planet Passion debuted at #11 on the Zone Music Reporter World Music Radio Chart in February 2009, and stayed on the chart for 8 months. The original edition of Planet Passion debuted at #18 on the NAV Airplay Chart. It was a Best of Echoes Radio Listener Poll Winner in 2002, and received airplay on 585 radio shows and stations during its initial release. 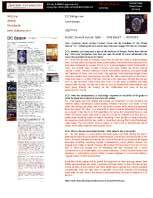 More quotes about Planet Passion. 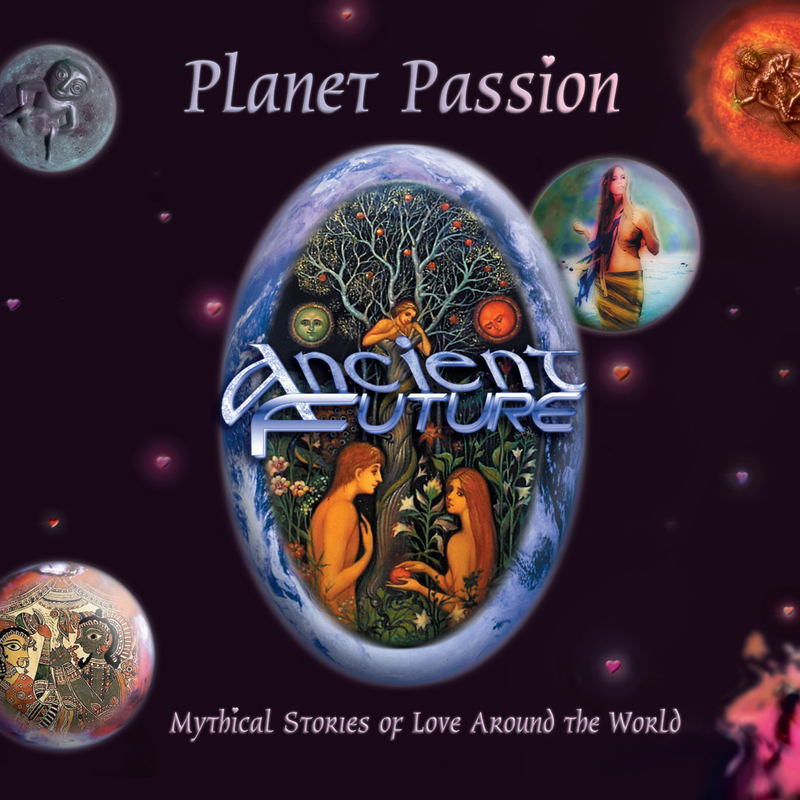 Share a message with links to songs from Planet Passion. Ringtones from Planet Passion will be available soon at WorldMusicRingtones.Com. 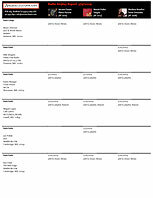 A list of some retail outlets that have carried Planet Passion.